Suitable for flat dog collars up to 25 mm wide. 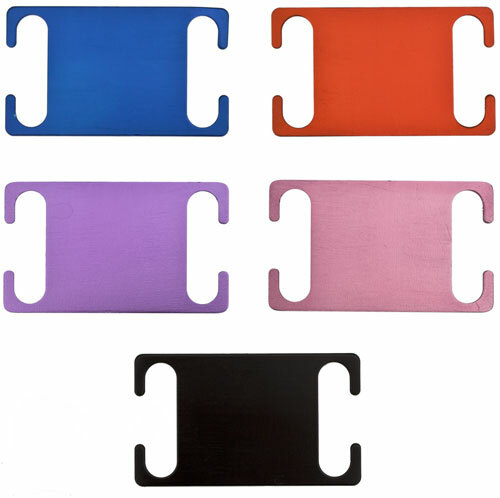 Tag size: 51mm long x 30mm wide and available in 5 colours. This slide on collar tag will fit all types of flat dog collar , snap fastening and also buckle fastening.